Here at Byrdie, we staunchly believe there's no such thing as a quick-fix or miracle cure-all when it comes to weight loss and improving the health of our metabolism. After all, not only can crash diets, crazy exercise routines, and even scary things like diuretics hurt our bodies over time, they can also deprive us of so many good things in life: the freedom to indulge in a treat with friends, choosing (without guilt) to stay in and relax on a lazy Sunday morning… You get the idea. However, there are certain takeaways when it comes to our dietary habits that are helpful to know and can transform into mindful, energizing rituals to keep our brain, energy, and good vibes humming, which we love. And since we do go through phases of taking better care of ourselves than others, sometimes handy tips, tricks, and recipes from leading nutritionists can be an important tool to have in our repertoire. So although we'll gladly enjoy our fall-themed cocktails and our favorites slices of seasonal pie, we're also on board with having some system-supporting smoothies on hand to keep our body's natural fat-burning mechanism (aka our metabolism) in tip-top shape. For some expert advice and much-needed inspiration, we asked five top nutritionists for their favorite fat-burning smoothie recipes. Keep reading for their tried-and-true favorites! 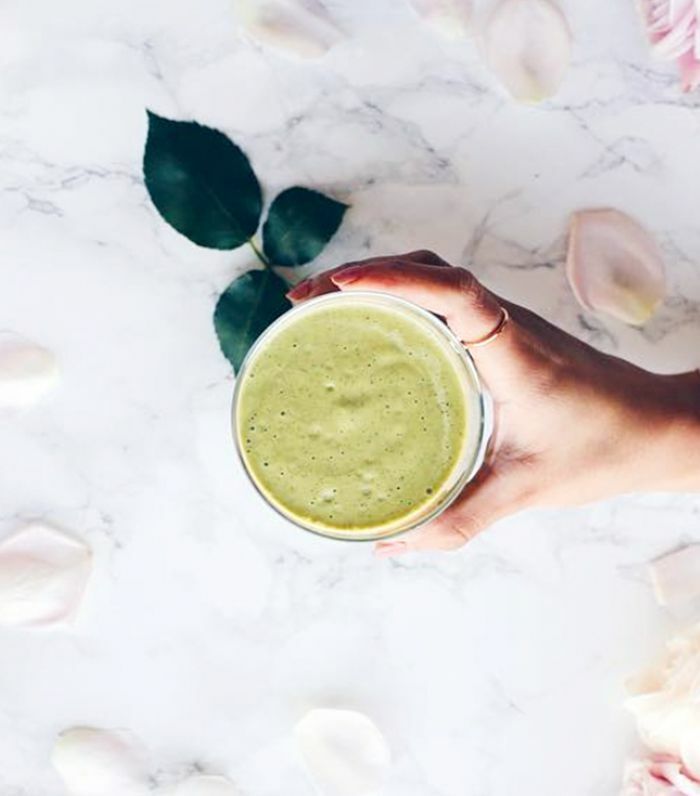 According to Farah Fahad, MS, RD, a dietitian and founder of The Farah Effect, this smoothie's high protein content (which comes from the hemp-based protein powder) makes it great for fat-burning. Plus, an extra dose of fiber via dates and chia seeds helps excrete cholesterol (a type of fat) for an extra metabolism boost. The cherry on top? Tigernuts, a great source of prebiotics and an essential for a healthy microbiome, which in turn, fuels a humming metabolism. Add all ingredients to a high-powered blender and blend until smooth. Farah also tells us you can buy cashew butter or even make your own! 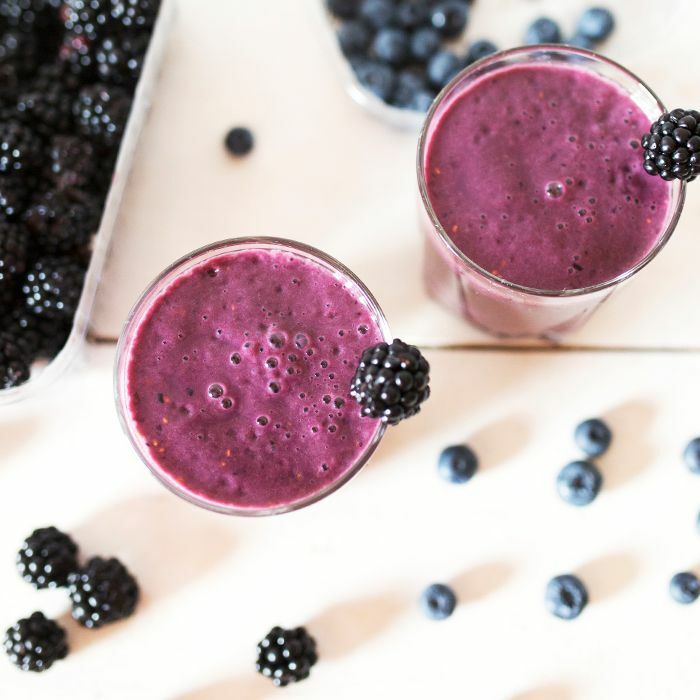 A nutritional powerhouse, this fat-burning smoothie from celebrity nutritionist Elissa Goodman, IHN, contains some of the best superfoods when it comes to fast, efficient metabolism. "A compound in matcha called EGCG has been shown to boost metabolism and stop the growth of fat cells while MCT oil is like a super fuel for your cells. It boosts fat burning and increases mental clarity," shes says. Despite their convenience, smoothies can quickly transform into sneaky sugar bombs (thanks to high-glycemic additions like fruit juice, syrups, and even an overload of fruit). And over time, too much sugar can inhibit fat burn instead of accelerating it. Registered dietician Lisa Moskovitz tells us a DIY recipe you make at home will not only help keep calories and sugar in check, but will allow you to pack in fat-burning sources of protein (Greek yogurt), fiber (berries and chia seeds), and other metabolism-enhancing superfoods like matcha. Her go-to recipe is below. Short and sweet, this simple yet tasty smoothie recipe from Maria Bella, founder of Top Balance Nutrition in NYC, capitalizes on fiber from the banana (it also lends a natural touch of sweetness) and fat-burning turmeric, which thanks to its high content of curcumin, is great for a buzzing metabolism. "Turmeric has been found to be a natural fat burner, and I'm always adding it to recipes." Plus, it's incredibly versatile as Bella tells us it pairs well with both sweet and savory foods. Variation: During hot summer days, you can add 4 to 6 ice cubes to make it cool and refreshing. "For weight loss and fat burning, this is my go-to smoothie recipe," explains Amy Shapiro MS, RD, CDN, who is the founder and director of Real Nutrition based in NYC. The trick, she says, is to limit fruit to about 1/4 cup (which lowers the overall carb content) while balancing other important macro-nutrients like protein, fat, and fiber. With quality additions like cinnamon (it stabilizes blood sugar!) avocado, chia seeds, and plant-based protein powder, she swears this recipe keeps her full for a good three hours. Next up: Five nutritionist-approved ways to boost your metabolism naturally.